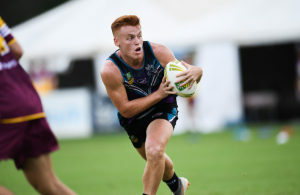 Day 2 of NTL 2019 saw New South Wales’s Hornets and Queensland’s Sharks MOAs remain undefeated to retain their top spots in their Men’s Open pools, with the CQ Bulls and Rebels snapping at their heels. Top spots in the Women’s Open pools also remain unchanged, with the Sharks (undefeated) and Scorps (four wins from five) dominating. Both of Japan’s teams had tough days, with just one win each after two days of play. Similar results currently in one of the Mixed Open pools – the Scorps topping their ladder and the Sharks on the second rung, though with the Raiders not far behind. In the other pool, the Rebels haven’t budged from the top. The Cobras are still dominating in the Women’s 30s, and in the Women’s 40s they’ve surpassed the Hornets, who couldn’t take a win today. Scorps also currently sit at the top in the Men’s 40s and 55s. The Sharks are undefeated in the Men’s 45s. And the Cobras are leading the Women’s 45s. The Cyclones have stormed in to top the Men’s 50s and 60s divisions. While we sit here hoping for a literal cyclone not to hit. Here’s to the sun coming back out for Day 3.